PRX’s mission is to help diverse voices and awesome audio stories reach and inform millions of people through its innovative digital platforms, applications and services. From building apps for This American Life to distributing The Moth Radio Hour to hundreds of public radio stations across the country, PRX is breaking new ground in public media. 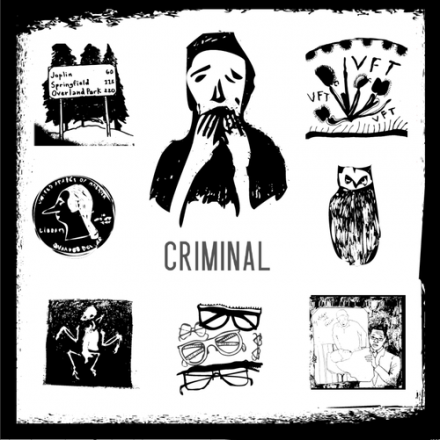 Criminal: Phoebe Judge and Lauren Spohrer explore people who’ve done wrong, been wronged, or gotten caught somewhere in the middle. 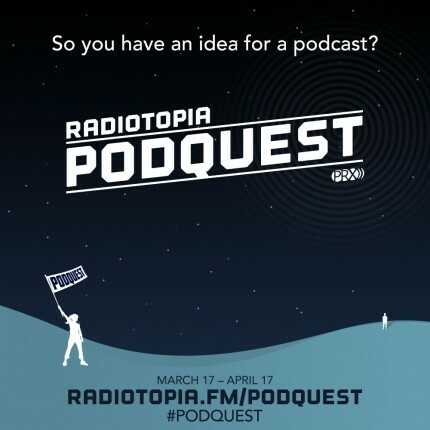 Aiming to discover the next podcasting star, Radiotopia today launchedPodquest, a competition that will give three finalists $10,000 and professional support to develop a podcast that could join the ranks of the network’s story-driven breakout hits like 99% Invisible, Criminal, and Song Exploder. 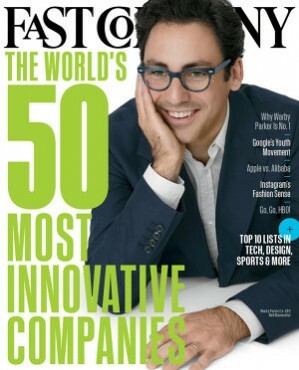 PKPR kicked off the search with an exclusive story in Fast Company. 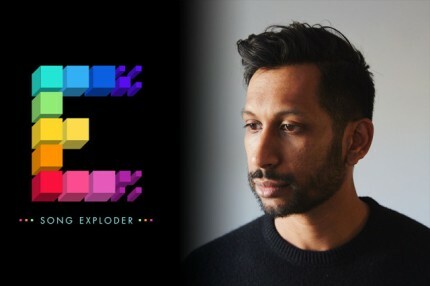 PKPR placed three terrific interviews recently in SPIN, Vox, and Gigwise with Hirishikesh Hirway, the musical mastermind behind the hit Radiotopia podcast Song Exploder. PRX received not one, but three shout outs in the March 2015 issue. Continuing to reshape podcasting and public radio, PRX this week launched Reveal, the nation’s only public radio show and podcast devoted to investigative reporting. Mashable’s media reporter Jason Abbruzzese takes an in depth look at the new series. 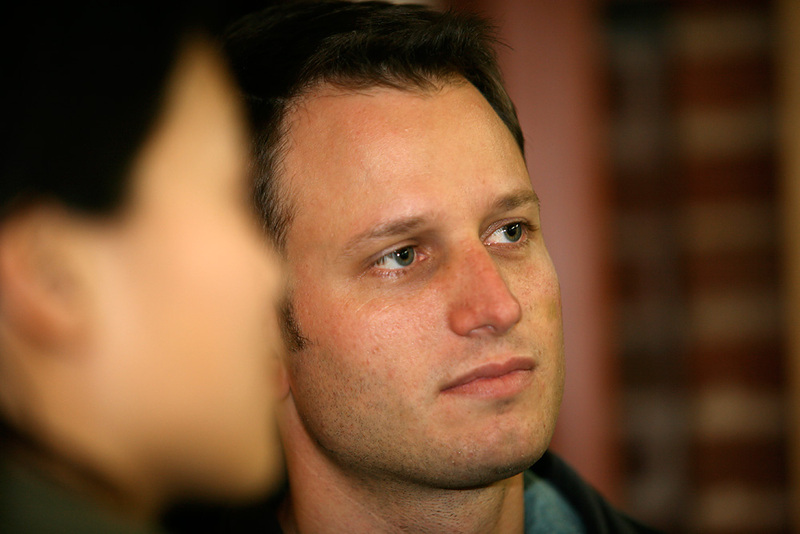 Terrific profile of PRX founder & CEO Jake Shapiro in today’s Boston Globe. Jake Shapiro of PRX is featured prominently in the fantastic episode of The Verge’s Top Shelf series looking at the innovators leading the new podcasting revolution. On November 14th, Radiotopia, the podcasting network from PRX, became the most funded Radio/Podcast project in Kickstarter history, raising $624,412 from over 21,808 backers, far surpassing its original goal of $250,000. PKPR secured an exclusive on the campaign’s success in the New York Times and secured many stories on how Radiotopia is leading the podcasting revolution in outlets like Digiday, Fast Company, International Business Times, Upstart, Capital New York, Columbia Journalism Review, Mediabistro, and Current. 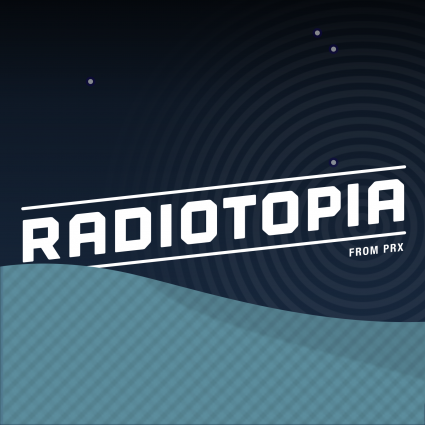 To establish a model for sustaining quality, story-driven public radio shows, PRX last week launched Radiotopia, a podcast network of the best emerging and established talent. The launch is supported by $200,000 from the John S. and James L. Knight Foundation. 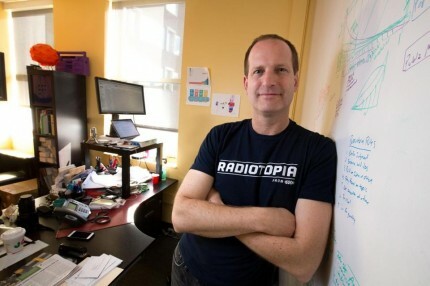 Radiotopia is anchored by 99% Invisible, the popular design and architecture podcast hosted and produced by Roman Mars. Other podcasts in the inaugural lineup include Radio Diaries, Benjamen Walker’s Theory of Everything, and Strangers, a fascinating look at how people connect in the modern world created by Lea Thau, former executive and creative director of The Moth. Coverage of the launch included an interview with Mars on BoingBoing’s Gweek podcast, USA Today, The Guardian, The Verge, Mediabistro, Columbia Journalism Review, Nieman Journalism Lab, Current, Radio Survivor, and All Access. PRX and The Center for Investigative Reporting (CIR) this week debuted a pilot for public radio’s first-ever investigative reporting series featuring an exclusive report and data analysis revealing how the Department of Veteran Affairs has overprescribed opiates to veterans since 9/11. PRX this week launched the PRX Remix, a free app that brings listeners a curated mix of the most compelling radio stories, interviews, audio documentaries, and intriguing sounds from indie-produced features to podcast gems like The Moth, StoryCorps, 99% Invisible, The Kitchen Sisters, and WTF with Marc Maron. 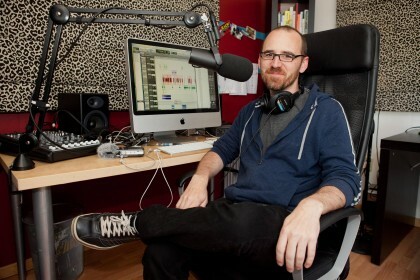 Aiming to be the greatest radio station of all time in your pocket, PRX Remix showcases a virtually endless stream of ear candy handpicked from all corners of the audio universe by PRX program director and 99% Invisible host Roman Mars (above). Raves for the new came in from around the web including USA Today, The Guardian, Mediabistro, Current, and Nieman Journalism Lab. Public Radio Exchange (PRX) released the first update in three years to its popular Public Radio Player iPhone app, which features a completely new interface and visual design. The free app was also updated to offer the best experience for streaming audio from over 500 public radio stations and 1,000 programs either live, on demand, and even offline. 99% Invisible, a “tiny radio show about design” that is distributed by Public Radio Exchange (PRX), raised $170,477 from 5,661 backers, making it Kickstarter’s most funded journalism campaign ever! Hosted by Roman Mars, who has been dubbed “the Ira Glass of design” by The New York Times design columnist Allison Arieff, 99% Invisible is the latest public radio show and podcast distributed by PRX to become a runaway hit. 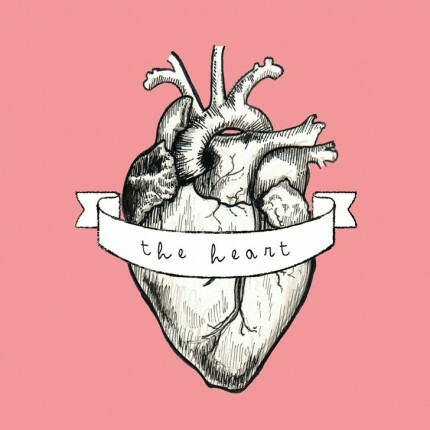 It recently reached #1 on the iTunes podcast charts, as well as #1 in both the Arts and Design categories. PKPR leveraged 99% Invisible’sKickstarter success to get the program and PRX coverage in Mediabistro, Current, Core77, East Bay Express, and Smart Planet. In a front page feature in today’s New York Times arts section, reporter Elizabeth Jensen took a look at the next generation of public radio shows poised to fill the void left by Car Talk when it stops producing news shows at the end of 2011. Jake Shapiro, executive director, of Public Radio Exchange (PRX), was featured prominently in the article, discussing PRX’s successful new public radio series including The Moth Radio Hour and Snap Judgment. With bullying in schools and on the Internet dominating the headlines, a new Public Radio Exchange special brought a fresh perspective to the issue with a collection of stories produced, reported, and hosted by teens who have experienced bullying firsthand or have been bullies themselves. �Bullied: Teen Stories from Generation PRX� offered an hour of thought-provoking personal accounts, interviews, and examinations of bullying produced and told by youth reporters from Maine to Alaska to Sweden. Coverage of special ranged from a live interview and feature on Fox News to Huffington Post. PKPR is thrilled to be working with Public Radio Exchange (PRX) on developing the media strategy for the Public Media Accelerator, a $2.5 million tech incubator that aims to do for public broadcasting what accelerators like Code for America and RockHealth are doing for government and health care, respectively. In advance of a series of events at SXSW Interactive, PKPR placed an exclusive with Mashable announcing that PRX hired Corey Ford, director of Innovation Endeavors� Runway program, the start-up incubator at Eric Schmidt�s early stage venture capital firm, and former producer for the Emmy Award-winning PBS series FRONTLINE, has been tapped as the Public Media Accelerator’s director. Ford will oversee the program which will invest in mission-driven entrepreneurs from media, technology, and design to build ventures with the potential to reshape the future of public media. Other coverage of the announcement included TechCrunch, Niemen Journalism Lab, Current, and Radio World.